Washington Monthly | Quick Takes: Can Comey Be Trusted? Quick Takes: Can Comey Be Trusted? * FBI Director James Comey has received some well-deserved criticism for the way he impacted the 2016 presidential election with the release of his letter about Hillary Clinton’s emails. As a result, it is fair to be concerned about the fact that he is leading the investigation into whether or not the Trump campaign colluded with the Russians. One person who has handled the questions about Trump superbly is Rep. Adam Schiff – ranking Democrat on the House Intelligence Committee. If you haven’t already read/heard his opening statement at the hearing yesterday, you might want to take a look at the portion I quoted in my liveblog. He is both well-informed and on point when it comes to the issues at stake. Ryan Lizza reports that Rep. Schiff has confidence in the job Comey is doing. * Democratic Minority Leader Chuck Schumer is tying the Gorsuch nomination to the FBI investigation. 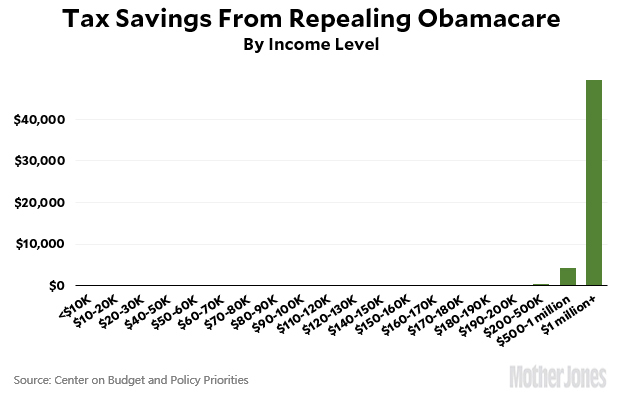 * If you had any doubts about Obamacare’s redistributive nature, Kevin Drum provided a chart demonstrating who will benefit from the tax cuts included in its repeal. * Kellyanne Conway talked about “alternative facts.” Jeffrey Lord calls it “Americanese.” For the rest of us, it’s simply lying. * Frank Rich isn’t into the whole idea of liberals showing empathy to Trump voters. The outbreak of Hillbilly Chic among liberals is an inverted bookend to Radical Chic, the indelible rubric attached by Tom Wolfe in 1970 (in this magazine) to white elites in Manhattan then fawning over black militants. In both cases, the spectacle of liberals doting on a hostile Other can come off like self-righteous slumming. But for those of us who want to bring down the curtain on the Trump era as quickly as possible, this pandering to his voters raises a more immediate and practical concern: Is it a worthwhile political tactic that will actually help reverse Republican rule? Or is it another counterproductive detour into liberal guilt, self-flagellation, and political correctness of the sort that helped blind Democrats to the gravity of the Trump threat in the first place? While the right is expert at channeling darker emotions like anger into ruthless political action, the Democrats’ default inclination is still to feel everyone’s pain, hang their hats on hope, and enter the fray in a softened state of unilateral disarmament. “Stronger Together,” the Clinton-campaign slogan, sounded more like an invitation to join a food co-op than a call to arms. After the debacle of 2016, might the time have at last come for Democrats to weaponize their anger instead of swallowing it? Sounds pretty politically incorrect doesn’t it? So does this Eagles song. 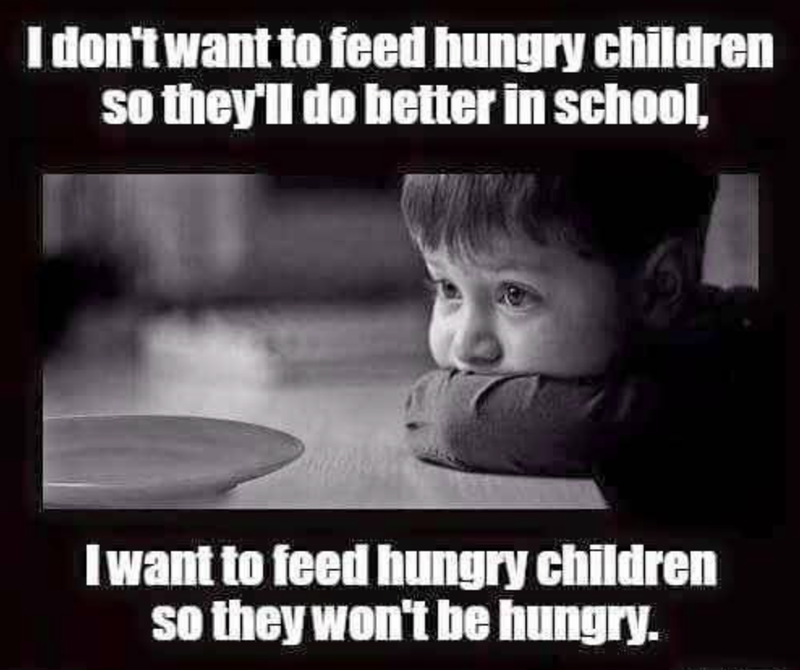 That doesn’t mean they don’t both occasionally have a point. * Finally, sometimes we make things way more complicated than they need to be.